Sheba is located in the Fillmore Jazz District at 1419 Fillmore. Since she and her sister opened Sheba Piano Lounge on Fillmore in 2006, Netsanet Alemayehu has created a distinctive ambiance with a sophisticated design, live music and a menu offering authentic Ethiopian dishes. Now Alemayehu has branched out and started selling the spices — and incorporating them into new cocktails and small plates. If you don’t want to do it yourself, Sheba is now offering a new lounge menu and cocktail menu that incorporate traditional Ethiopian spices. On the cocktail list, for instance, is the Selassie, a rye whiskey cocktail with house-made Ethiopian bitters. “I mix it and let it go for a month,” Alemayehu says. There’s also an Ethiopian espresso martini made with fresh muddled Ethiopian cardamom pods. And then there’s the Red Sea — an Ethiopian Bloody Mary — with mitmita, a spicy mix made with crushed African birds-eye chili peppers, substituting for Tabasco. On the new lounge menu are dishes that meld Ethiopian and California influences such as pomegranate meatballs with blue cheese, a hamburger and spicy fries sprinkled with mitmita and a salad with pickled beets, walnuts and “Net’s vinaigrette” seasoned with Ethiopian oregano. Or you can have a full Ethiopian dinner and eat it with your hands the way the Ethiopians do. 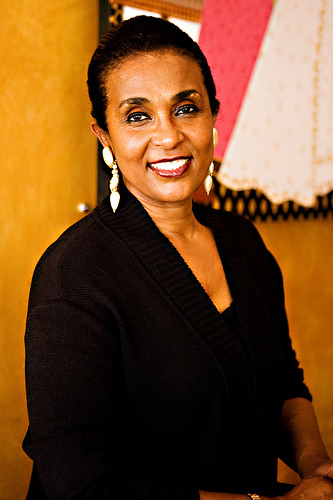 Alemayehu made a name for herself locally with her first restaurant, Sheba, in Oakland. She’d come to the Bay Area entirely by happenstance in 1975 after meeting a visitor from Oakland while working at the Hilton in Addis Ababa. They became fast friends and the woman offered Alemayehu a room in her home if she wanted to come to California to further her education. She seized the opportunity and got a degree from San Jose State University. For most of the 1980s, she ran Sheba on Telegraph Avenue in Oakland. Her mother began shipping spices and sauce bases so she could recreate authentic family recipes. Despite its success, she gave up the restaurant when the city continued to deny the liquor license that seemed essential for the restaurant’s growth. She found considerable business success elsewhere, but missed the food world. The perfect pathway for her return appeared in 2001 when she took over the kitchen and bar at Rasselas, the jazz club and Ethiopian restaurant that had relocated from California and Divisadero to become a pioneer in the nascent Fillmore Jazz District. Rasselas was run by Agonofer Shiferaw, a fellow Ethiopian immigrant who had frequented Sheba restaurant. Working at Rasselas reignited her spirit and determination to have her own restaurant. The promise of the jazz district made Fillmore seem like the right place to do it. She and her sister Israel decided to take over one of the long-vacant spaces in the Fillmore Center and create the Sheba Piano Lounge. It opened in 2006, just before Yoshi’s opened and the dream of a revived jazz district took flight. She’s doing her part by offering a women in jazz series on Monday nights — appropriate for a club named after the powerful Queen of Sheba. On Tuesday nights there’s a special on Ethiopian vegetarian platters. And now she’s started a late night “red-eye special,” which has become a magnet for restaurant people who stop by after they’ve finished their dinner shifts. “Our happy hour starts late,” she says — 10 to closing on weeknights, 11 to closing on weekends. My boyfriend and me observed huge lack of customer service and personality, besides that the place is cozy. The link below says it all. Seems like an unfair — or at least way outdated — attack. The SF Weekly article, “What’s Wrong With the Lower Fillmore,” hit the bull’s eye back when it was published in 2005. But Sheba opened in 2006 and 1300 on Fillmore and Yoshi’s opened in 2007, changing the look and feel and reality of the place. The alleged Gang of Four has long been disbanded. Strikes me that what’s now wrong with the lower Fillmore is the tendency some have to hold on to the negativity of the past rather than embrace new possibilities. I am a huge fan of Sheba Lounge! My partner and I frequent the bar and accompany it with an occasional appetizer or Vegetarian platter. The staff is great and Net and Israel are extremely personable. We have always felt welcomed when entering the restaurant and that has kept us coming back. Great ambiance and entertainment. I’m excited to hear about the “red-eye special”. Keep it up Sheba!